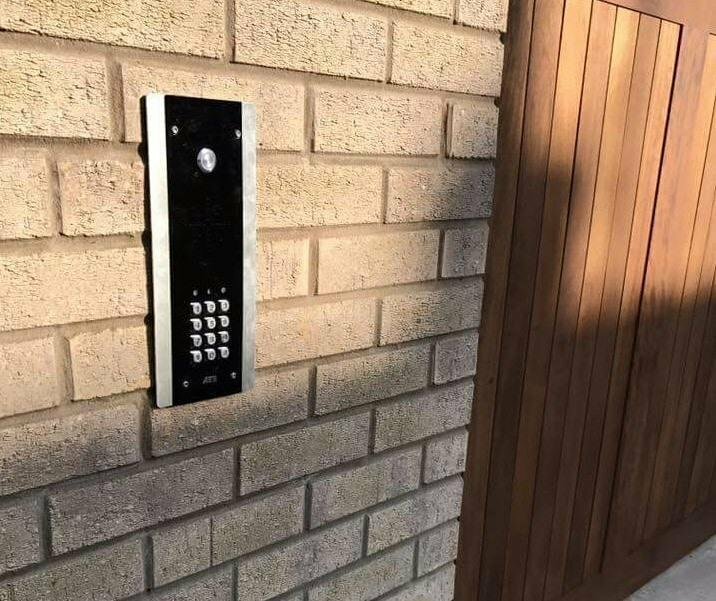 We have a wide range of entry systems available at B.E.C. Each of the listed products below have downloadable content if you would like to know more. Entree Phone 603 D.E.C.T Wireless Intercom. 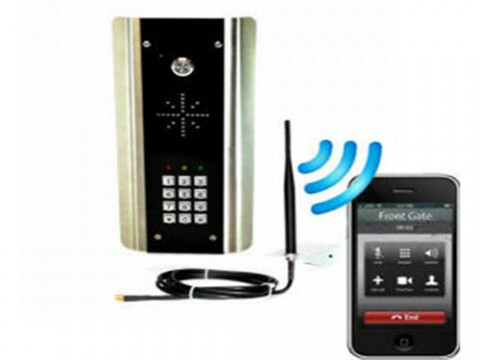 Wireless intercom for electric gates. Very reliable digital DECT, also used by DECT phones such as Siemens & Panasonic. Up to 350 metres open field range, or 200 meters through 1 external wall. Gate / door release relay feature built in. -Optional code lock keypad versions available. 4 designs of speech panel, architectural, hooded, flush and industrial. Neon blue illuminated push button and keypad. All panels constructed from stainless steel, trimmed with stylish gloss black toughened acrylic. 2 year manufacturers warranty included. 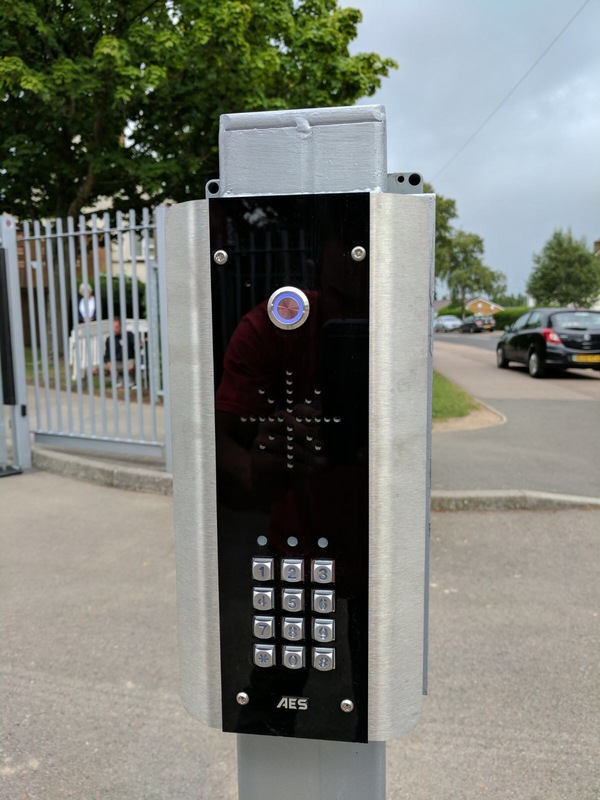 Cell Com GSM Gate intercom system. Makes phone calls to mobile phones and fixed line telephone numbers. Speak to your visitor even when you are not at home. Calls up to 3 numbers in sequence. Simply press the * (star) key on your telephone keypad to open a door or gate. Latch feature also allows users to “hold open” gates or doors. Dial in mode, allows up to 100 authorised numbers to “dial the gate” to open at no call cost. Optional code lock keypad versions available. WiFi Predator WiFi Gate Intercom for smart phones and tablets. Makes video calls to connected Apple and Android devices, including tablets. Works even when away from home (need 3G or 4G connectivity on your phone). Remotely open gates or door from your phone or tablet. Calls up to 4 devices at the same time. First to answer gets the call. Long range WiFi antenna at the gate, to maximise range (100 metres or more achievable in many cases). Other options available on the open market to further extend range, e.g. wifi repeaters. Built in LAN connection for Power Line communications or wifi repeater connection. Night vision camera with IR illumination and 110 degree wide angle lens. GSM Predator Video 3G GSM Intercom System for Smart phones. Makes a 3G network Video call to compatible smart phones. Does NOT use any data. Video calls are billed from the airtime minutes plan. Compatible with supporting smart phones including many Samsung HTC and other Android models, Windows and Blackberry phones. Note: Iphones do not support video calling! Makes regular voice calls to land lines phones. Calls up to 3 telephone numbers in sequence, cell phones and/or fixed line telephones. User can press * key to open gates or door. 2 relay outputs. -Optional code lock keypad versions available. Constructed from stainless steel, trimmed with stylish gloss black toughened acrylic. Up to 8 call buttons for 8 flats, apartments or business units. Calls the existing phones of tenants or owners. Calls up to 3 phone numbers for each button. 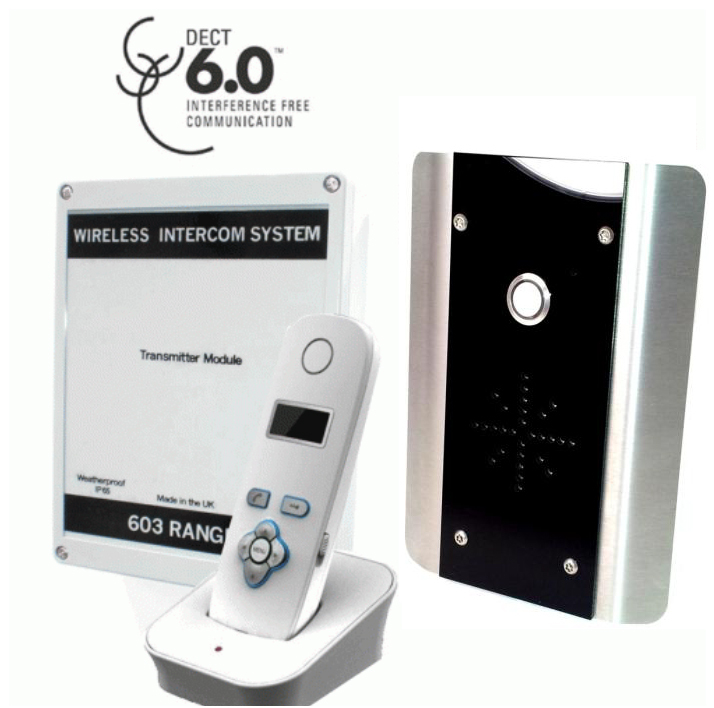 Unlimited range intercom using GSM wireless SIM card technology. Limited call time, to minimise bill between sharing users. Dial in mode allows up to 100 users to “dial the gate” at no call cost. No need for expensive wiring or hardware throughout a large building. Kit consists of call box and outdoor gate transmitter box in weatherproof enclosure, and handset with charging base. GSM Intercom for tower blocks, apartment complex and shared compounds. Single SIM card inside can dial up to 100 apartments. Calls up to 2 telephone numbers per apartment. No wiring needed to apartments, no hardware needed inside apartment. Can call existing fixed line telephones and/or mobile cell phones. LCD screen with editable welcome / instruction message. Users simply press * (star) key on their phone to open door or gate. Volt free momentary relay built in with NC and NO contacts. 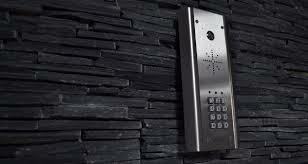 Keypad can also be used for coded access control. Programmable via keypad and LCD display, or remotely by SMS text message. Video wireless intercom for gates. Longest range wireless video intercom on the market. Unique setup uses not one but two transmitters over two frequencies to achieve twice the range. Combines 1.88GHz DECT technology (audio signal), and 2.4GHz digital code hopping technology (video signal). Door / Gate release relay built in. Can add up to 3 additional audio handsets to compliment the master video handset. Night vision camera with infrared illumination.